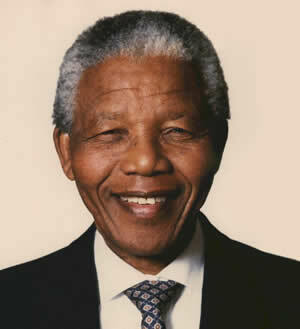 Nelson Rolihlahla Mandela was born 18 July 1918 and served as President of South Africa from 1994 to 1999, and was the first South African president to be elected in a fully representative democratic election. 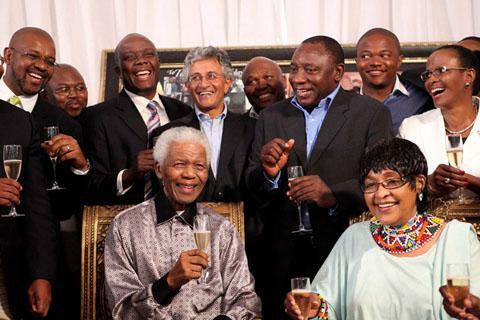 Before his presidency, Mandela was an anti-apartheid activist, and the leader of Umkhonto we Sizwe, the armed wing of the African National Congress (ANC). In 1962 he was arrested and convicted of sabotage and other charges, and sentenced to life in prison. Mandela served 27 years in prison, spending many of these years on Robben Island. Following his release from prison on 11 February 1990, Mandela led his party in the negotiations that led to multi-racial democracy in 1994. The momentous event of his release from prison, for many, signaled the beginning of the end of apartheid. On 2 February 1990, State President F.W. de Klerk reversed the ban on the ANC and other anti-apartheid organisations, and announced that Mandela would shortly be released from prison. Mandela was released from Victor Verster Prison in Paarl on 11 February 1990. The event was broadcast live all over the world. Previous articleWhat Is This ‘Internet’ Thing?